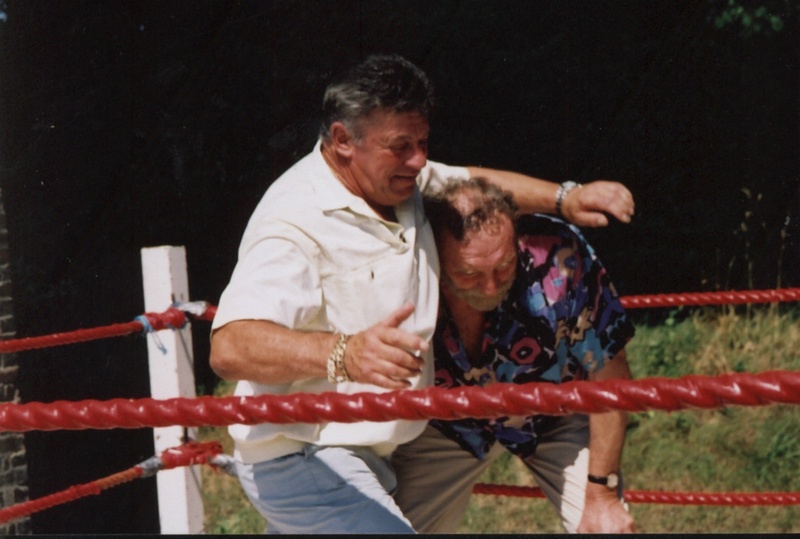 Ladies and Gentlemen, my name is Wayne Bridges and I have come here today with many of my wrestling colleagues, not to mourn the loss of yet another grappling buddy, but to celebrate a lifelong friendship and association with a giant among men : the “Bomber” Pat Roach. 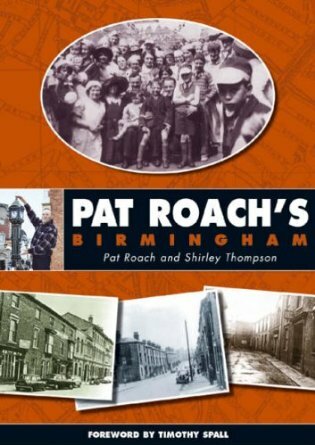 At 6’ft- 5’ and weighing in at 20 stone, Pat was obviously a huge man, but it is not his stature that I refer too when I call him a giant. The friend that we all knew was as tough and strong as a lion, had the tenacity and stubbornness of a bulldog, did not know the meaning of fear, or submission, yet was as softly spoken as a new born lamb, with gentle ways of a woman. His love of poems such as “IF”, his beloved family especially his Son, and the finer elegant things in life like his Bentley, were legend. He could beat any man mercilessly, that faced him in combat, yet cradle a fragile butterfly in his enormous hands with all the love of a child. I have personally seen him rage in temper like a rampant bull over some trivial misdemeanour and yet cry uncontrollably following the death of my own beloved Son: Dean. These are the qualities that marked a truly great man !!! A man that rarely passes our way, and when he does, should be treasured as we did him. Pat started his phenomenal path to fame, with an early interest in Judo, becoming the youngest exponent to ever win a black belt and Dan, in the quickest possible time ever known. Following many successful competitions, the young strapping athlete was eventually lured to Boxing, under the guidance of the late great Jack Solomons, where he fought and won many titles, in competitions that would sometimes exceed 500 contestants. His exploits took him to exalted venues such as the Royal Albert Hall and similar prestigious events, all feeding his desire for fame. It was during the early sixties however, that his greatest love affair started , an association that was to endure for 44 years, changing his life forever and culminating in Pat becoming an International film and TV star, Author, celebrity, and International icon, surpassing even his wildest dreams. That love was Professional Wrestling. I had the privilege to first meet him in 1964, when I was wrestling for Paul Lincoln Promotions, where stars like Mike Marino, ‘Judo’ Al Hayes, Ray Hunter where barnstorming the Halls in the UK ., carving out major reputations for themselves. The young unknown athlete with a big mop of hair had tasted success with Jack Taylor in Leicester and come down to London’s Soho Headquarters to sign as an apprentice grappler. He had his first contest against me in Aston and within just a few weeks, was topping the bills all over the Country, wowing the audiences with his agility and skills. Nobody had ever seen a man so huge, that could move as fast as a lightweight. 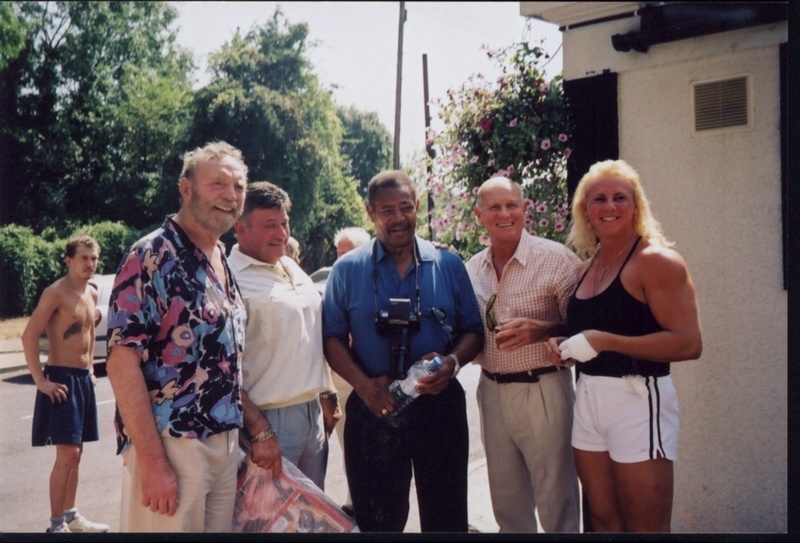 In 1966, Lincoln amalgamated with the legendary Dale-Martin Promotions and we were absorbed into the main stream of British wrestling , where we were to meet and work with legendary stars such as Prince Kumali , ‘Judo’ Pete Roberts, Colin Joynson , Steve Veidor,etc., all of whom are here today to pay homage to their pal. For the next 23 years, we all trod the boards together, working six nights a week, visiting every Hall and venue across the length and breadth of Great Britain. 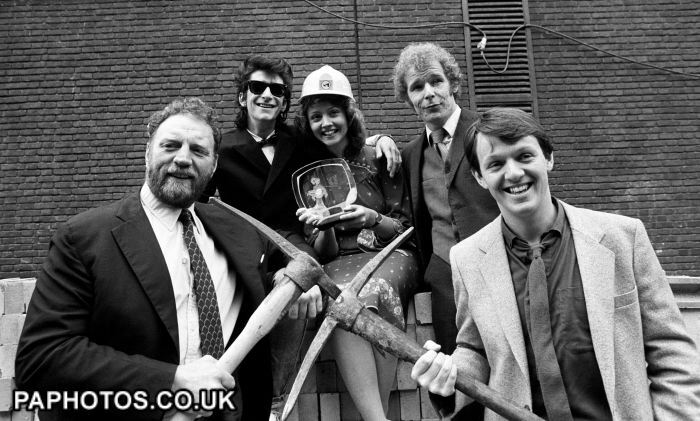 Those glory ridden halcyon days seemed to go on forever with regular TV appearances, trips abroad etc., and of course,with the media exposure came a little fame and a certain amount of fortune. Pat and I gelled immediately, forming an unholy alliance and bond, sharing a perverse sense of humour and fun that endured across the globe through the years until his premature demise. We spoke on the phone almost daily and shared a platonic intimacy usually reserved for couples. On one occasion, whilst touring in Japan, for instance, we were accosted by the statutory suit vendors and Pat ordered a plain blue serge . He then sent them to my room, and I noticed that the samples included a cloth containing 12 different coloured stripes such as purple, yellow, red, all quarter inch wide, just like a technicolour rainbow. Having then ordered my own outfit I informed the tailor that Mr Roach was so impressed with this material that he wanted to change his order to the multi colour. I shall leave it to your imagination what range of expletives he used when they delivered his new three piece. He never forgave me that joke and even on his death bed, mentioned it when I rang to inquire how he was feeling. Another saga between us went on for 25 unbelievable years. I am known to be conservative with money, and asked Pat to get me some tyres for my Volvo which I then drove in the seventies. Being in the scrap business, he not only got the tyres but wheels as well, charging me only £100 the lot. I gave him a cheque reluctantly but kept moaning about the cost, It was never Banked and a few weeks later I received it back in the post. Being an honest injun ,I thought that it was a mistake and returned it to him. Well, this went backwards and forwards for the next quarter of a century, finally resting with him when he passed away, which reminds me that I do not want to see interest charged by the family and whilst not being mean, should be grateful if we could now tear it up !! We travelled the world together, Japan, Canada, America, Europe, India, Africa, but he always wanted to return home to Blighty. When we drove across from appearing in Spain, Germany or France etc., no matter how choppy the sea, he would always stand on the bow of the ferry just to see the White Cliffs appear. The Canadians and Yanks wanted him to remain permanently in the WWF, and offered to make him a superstar, but he refused to leave home, and in Germany where he was Heavyweight Champion, they offered the world but to no avail. Pretty soon, he became British Heavy weight Champion and defended the Title many times on TV. And even topping the Bill at the Royal Albert Hall in front of the Duke of Edinburgh who was an ardent wrestling fan. His great move was the ‘Brummy Bump’ and such was the respect that he commanded, no other wrestler has ever attempted to emulate it. His greatest accolade apart from the Pet honour that he jointly received on TV in 2003 was to become a Committee member of Equity. He had been also signed up for Mel Gibson’s new blockbuster Alexander the Great and Harrison Ford’s Indiana Jones sequel, but was sadly too ill to appear, although he did struggle through the last series of 'Pet', being forced to miss the Christmas Special in Thailand from which his very dear colleagues have flown back ,especially for today. Heady that all this success was however , he never lost touch with reality and remained with his feet firmly on the ground. He had an uncanny head for Business running a scrap yard for many years, a health studio, and owning various rented properties all expertly managed by his friend and mainstay Bernie who has organised this event today. Pat always said to us that Bernie was his anchor, and the man that he trusted above all other and I should like to thank him on behalf of all the wrestlers for the loyalty and devotion that he always showed our friend.Such was Pat's astuteness that when Birmingham Council were buying up land to build the NEC centre, Pat was approached along with many houses centred around the yard. He refused to sell as did the others and the NEC was finally built nearby. As the surrounding houses became derelict however, the big fella bought the plots to enlarge his scrap yard, finally selling the entire site for millions. He never gave up wrestling, and in 1988 when ITV decided to cancel the contract after 33 memorable years, it was big Pat who fought the last bout and closed it with a speech in the ring thanking the folks for allowing us all in their “parlours”. 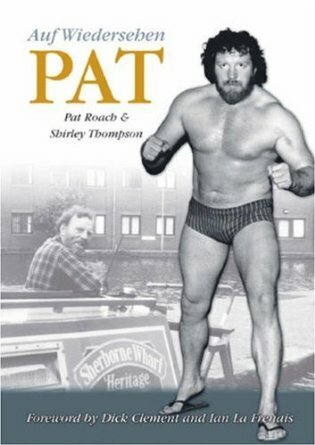 Along with his humour, Pat was also known for retaining his links with all his buddies from the wrestling world , acting as Organiser and Committee member for the Britsh Wrestlers Reunion Association along with President Joe D’Orazio and Northern Reunion organiser Bob Bell, himself a cancer sufferer. In the 12 years since its inception, he never missed the Annual gatherings at either the Northern or Southern venues and took great pride in reading from our obituary lists the individual names of over 200 wrestling associates, that have gone to the great dressing room in the sky, poignantly pausing at those of his special friends to remember each one, and to which we must now sadly add his own. In memory of his immense contribution to the wrestling fraternity, the Organisers have introduced the Pat Roach Memorial trophy which will be awarded to the best young wrestler in the UK every year, and on August 8th we shall honour the big guy with a life-time achievement award and everlasting candle which shall take pride of place in my public house, to ensure that the memory of this legendary fighter will always live on. His bravery, courage and dignity was an inspiration to us all and at last years reunion, even with an obvious weight loss and his voice badly affected by his illness, he still insisted on performing his duties, and rather than harp on his own problems spent time worrying about the welfare of his less fortunate former colleagues, even insisting on paying for a minibus to bring some of them down from the North, just so that the young new wrestlers could meet their heroes such as Johnny Saint ,Eddie hamill etc. He would regularly donate monies to the sick or infirm wrestlers never letting them know the source. In spite of terrible suffering and pain over the last three years, he never told the boys, preferring to keep his distress to just his closest allies like myself. We were all sworn to utmost secrecy, which was very difficult when everyone could see that he was not himself. None of us here today, could possibly imagine what was going through his mind having no-one to share the torture of radiotherapy or the uncertainty of its outcome, yet his incredible love of life and quick brummy humour always shone through. Later in life, he turned his attention to writing with his Biographer : Shirley Thompson. Tackling his three part autobiography with the same gusto as he did wrestling. He wasn’t seeking more fame, but just wanted to let the world know on paper, how much he loved his Mother, family and beloved Son. How his thirst for life had spurred him on to achieve the remarkable things that he had done. 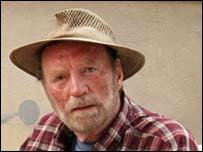 The forward was written by Arnold Swarzzernegger, Messages were sent by Ryan O Neal, and Harrison Ford all paying homage to his professionalism, but it was his love of his mates from “Pet” that he treasured the most, often saying the it was Kevin Whately, Timothy Spall,Jimmy Nail and Timothy Healy who had accepted him and taught him the skills of acting, beyond all others. He called the book “IF” after the poem that he loved so much, and following the phenomenal success after its launch , set about doing a sequel. The book soon entered the best seller lists , much to his modest dismay. Such was his generosity however that with all this heady success , he still remembered his wrestling mates yet again, selling signed copies at the wrestling shows and Reunions, then donating a quarter of the proceeds to the Reunion itself in order to buy wreaths and flowers for other deceased wrestlers and their families such as the late broadcaster : Kent Walton to whom he was particularly close . Ironically, he never lived to see the new book launched, poignantly and aptly titled 'Auld Weidersehn Pat',but as a mark of our love for Pat, my wife: Sarah to whom he was devoted, is stepping into the breach in her role as Miss Great Britain to promote the launch Nationwide. His influence as a great Ambassador for our sport was so great, that Pat delighted in visiting training establishments like the Dropkixx Wrestling Academy, tackling all the twelve year old hopefuls and would roll around with them in the ring much to the delight of their doting parents. Speaking of “IF”, during my last ever conversation with Pat on the phone just hours before his passing, he asked two things of me. One, was that six wrestlers would act as pall bearers on his coffin to carry him into the Church, and second that I would read the poem “IF”. Much as I loved that man, I am only a punch drunk old fighter , not a natural orator, as you can see by the way I am reading this tribute, and so I am highly relieved that the honour will be accepted by Kevin Whately and the other Professional speakers that are here today, the actors and friends that he admired so much. Bravery was a byword to this great man, and even eighteen months ago following a throat op. during which his gullet was removed and with his sight failing along with his voice, he still accepted a wrestling job, which most men half his age and in good health wouldn’t attempt. The Promoters were spell bound with his professionalism. Every once in a while Ladies and Gentlemen, someone very special passes through this world. Thank God that we were all privileged to know this very special and awesome man whom we could call friend !!! I am humbled and honoured to be allowed to take up so much of your time paying tribute to him on behalf of the both myself, my wife and the whole wrestling fraternity. He has left a legacy to the world, far beyond his obvious talents , that if you dream enough and are dedicated enough, and have enough guts, then any ordinary boy from an plain background can achieve any goal they desire, just as he did. 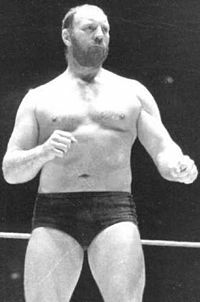 May God keep you next to him ‘Bomber’ Pat Roach, because with you there beside him, he need never worry. You have left the world a better place for being in it. Your courage, dignity, bravery, generosity and humour, will live on in us forever. No more for you the pain and suffering that you secretly endured for the last three years. Sleep in peace my friend. You have earnt it. You really were a GIANT among men.You are forever my Friend ! Pat was a great man, and having had cancer of the throat myself, have some idea of the suffering he went through. I am unconsolable at his passing. 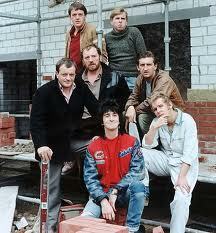 I knew the Bomber for forty years and had the highest regard for both his professionalism and as a man. I was proud to call him friend. Pat was the hardest man I ever met, but also lovliest gentle fella in the world . 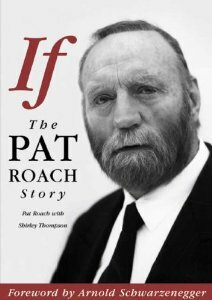 Pat Roach was the ultimate epitome of what a man should be. We shall miss him. I worked with the Bomber all over the world and each bout I had taught me a little more. I liked and respected him. The ultimate Pro. Most of us looked up to him because of his size, but I just looked up to him. The British always were the best wrestlers in the world, and Pat Roach was the best of the best !